Your account has been successfully charged. Processing your order... this may take up to 10 seconds. An error has occurred while trying to complete your order. Your account may have been charged. Please contact the orders team. * Limited-time offer. Single plugins only. Discounted plugins are ordered by price from high to low. Please submit your coupon code by clicking Apply, or clear the text box to continue. Why is this needed? We'll use the info you provide to create an account and register your products. By clicking Continue, I agree that I have read and accepted the Terms and Conditions. Waves software will be delivered by download only. No shipping address is required. We will process your order within 1-3 business days. Shipping does not include duties and taxes. You will be responsible for those upon delivery of the product. Your order total is $0, therefore no payment information is required. Once you click Confirm Order you will be redirected to PayPal. Once you have completed payment on PayPal you will be redirected back to waves.com. Once you click Confirm Order you will be redirected to AliPay. Once you have completed payment on AliPay you will be redirected back to waves.com. 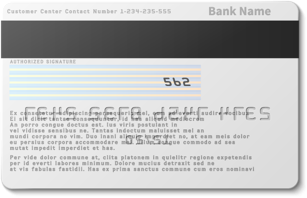 The 3-digit number is printed on the back of your card. For American Express, it's the 4-digit number on the front. Your credit card details will be encrypted and saved on a secured server. You may choose to remove them at any time. What is Tax / VAT number? If you choose to enter your Tax / VAT number, it will be displayed on your invoice. What is Australian Business Number (ABN)? Starting 1 July 2017, in accordance with tax regulations in Australia, Waves is required to collect and remit Australian GST if a valid Australian Business Number (ABN) for GST purposes was not entered during checkout.